Indonesian Christians REFUSE TO QUIT work on Bible translation! Dr. Y (we can’t reveal his name), who leads Bible translation work in Indonesia, reports that Christians are feeling serious pressure in his country—but they refuse to give up, refuse to run and hide. They will respond to their persecutors in Christlike love—by working to bring them God’s Word in the language of their heart! 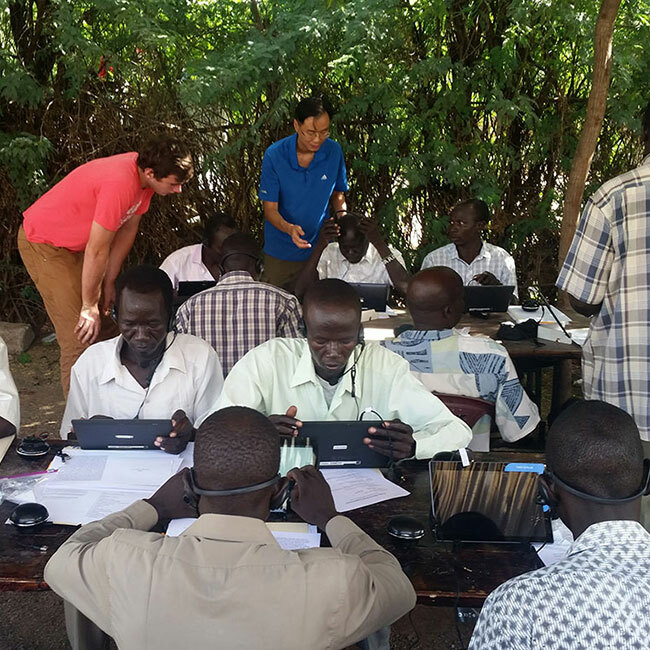 National Bible translators are ready to start work—as soon as they have the tools and training they need: computer tablets with Bible translation software. We need your help to say “Yes” to these precious brothers and sisters in Christ. Generations of waiting . . . over? Dr. Y tells us that Bible translation teams are ready to go. Entire language groups who have waited for generations to experience God’s Word in a way they can fully, deeply understand! Entire populations of people who have never known the joy of reading the Bible in the language they think and dream and pray in! Now—finally—the waiting can end. Give today to provide computer tablets so that national Bible translators in Indonesia can start work. Love is changing the landscape. Dr. Y’s latest message says this about the Muslims of Indonesia: “Looking at the Christians’ loving attitude and behavior toward Muslims” has changed many of them. They’ve become sympathetic. Imagine Indonesia—the biggest Muslim nation in the world—experiencing a movement of the gospel . . . turning away from hostility and hatred . . . embracing the love of Jesus! Please give as generously as you can right now! Would you like to give in honor or in memory of someone? Select the appropriate value from the dropdown and then enter the name of the person your giving on behalf of. I would like for my gift to be anonymous.